Eric, a Dubuque native, born and raised, left to pursue studying photography. After obtaining his degree, he began his career in Milwaukee as a commercial photographer. Taking photographs for big-name companies like Miller Brewing Co. and Harley Davidson gave him valuable experience, but he knew he wanted to do more. So with his degree and experience in hand, he returned to his hometown to open up his own studio, Elite Images. Twenty-five years later, Elite Images has grown to be a leader in professional photography and takes pride in quality and service. 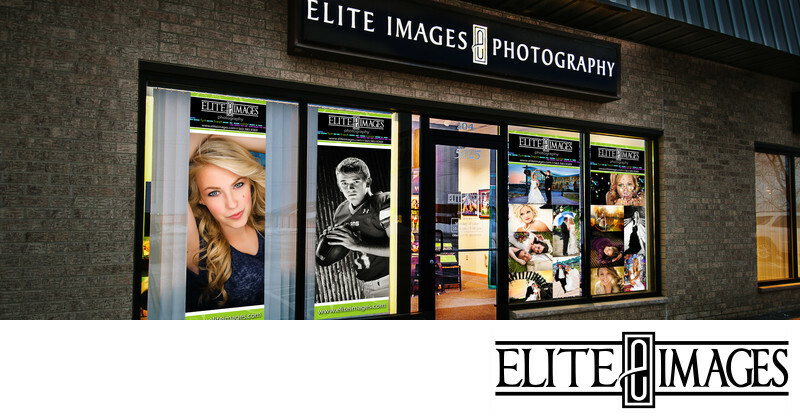 A business doesn't last all those years, and you don't become one of the top Dubuque photographers by being just so-so... that's why the Elite Images team strives for excellence with every photography session and every image, from business headshots to senior pictures. Eric applies all thirty years of experience to every session. Using his knowledge of lighting techniques and eye for compositions, he makes sure that every photograph captures your best self. He also understands how nervous people can be in front of the camera and uses unique strategies to help you relax and capture genuine and natural expressions. His expertise is what won him several photography awards such as the Top Ten Photographer of Iowa and Kodak Photographic Excellence. But the quality of service doesn't stop when shutter clicks. Every image is then color corrected so it looks as it is intended. Any photograph you order is also fully retouched. The Elite Images team puts in the care and time to even skin tone, brighten eyes, and everything in between. 25 years as one of the leading Dubuque photographers with high-quality service and top-notch images... now there's something to celebrate!